It’s a pretty full-on colour, which is why Jekyll and Hyde was kind of the perfect pattern – i’m in two minds about this colour way. Somedays I love it, the way the pinks, blues, yellows, greens mingle with each other. Somedays, I find it much less appealing. 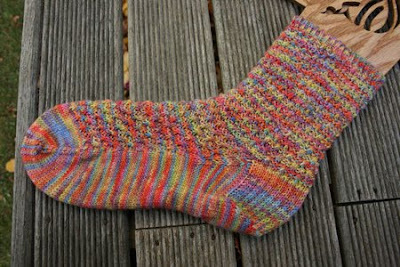 Check out the heel and how the colours match up, compared with in the pattern stitch how it gets all mushed together. 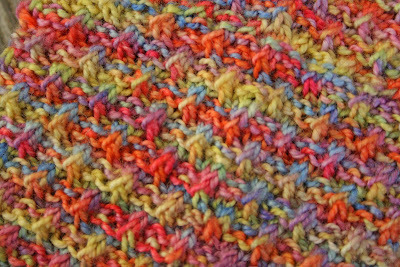 If I were to knit with it again, I’d probably go for a less ‘busy’ stitch. But hey, i’m still pretty pleased with how it turned out. For today, anyway. I am obsessed with green. My favourite colour is yellow – bright, sunshiny, happy. Nothing can be sad with yellow, really. But green, damn that green. I have quite the collection of orange yarn – it started in London. About the same time as the green obsession. 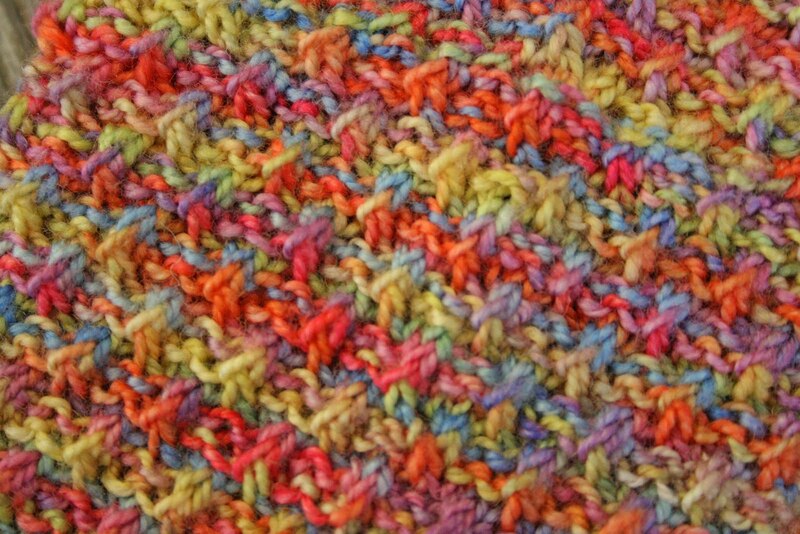 It seemed that every skein of yarn that found itself in my hand was either green or orange. The problem with that is, every dye colour I dream up, a spot of green sneaks in. Oh, I think, if i do this, and this and this, and then what else will go with it…oh, i know, green! And then do you think it is easy to achieve that subtle shade of emerald? Or the iridescent colour of a beer bottle? oh no. No. Green has to be one of the frigging trickiest colours to get just so. The moral of the story is: if you like green, Knitsch is for you. You may look forward to enjoying the benefits of my misery!